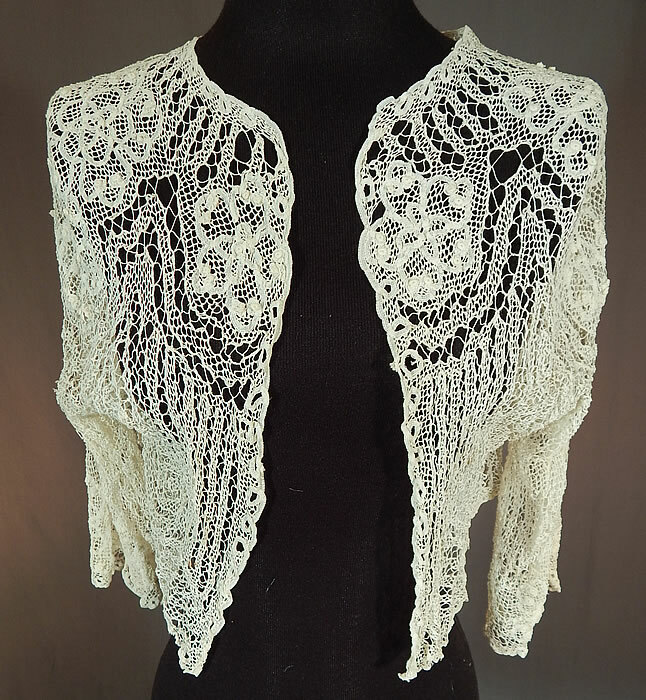 This Victorian era antique handmade bobbin tape lace net white bolero jacket shrug top dates from the late 19th century. 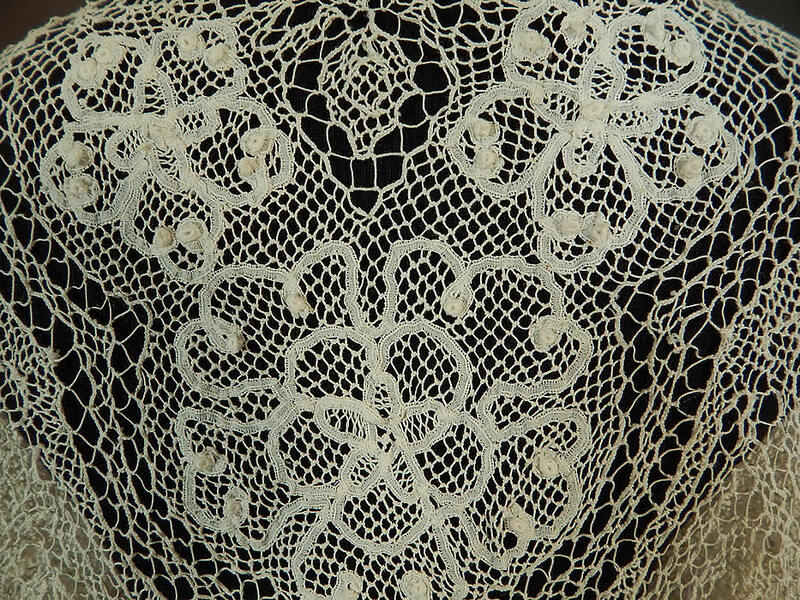 It is handmade of a white bobbin tape lace with maze like geometric shaped designs, tape like strips done in floral rosette patterns with raised crochet knots and sheer fine mesh net connecting brides, bars. This lovely lace ladies short cropped bolero jacket shrug style top has an open front with no closure, 3/4 length sleeves and is sheer, unlined. The top measures 15 inches long, with a 36 inch bust and 13 inch long sleeves. It is in good condition, with a small faint age spot stain along the bottom back hem and a few small breaks in the lace. 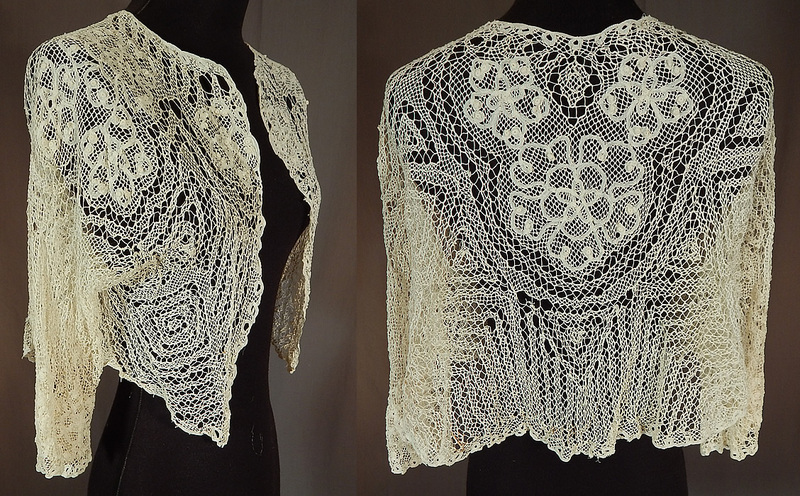 This is truly a wonderful piece of antique Victoriana handmade lace wearable art!